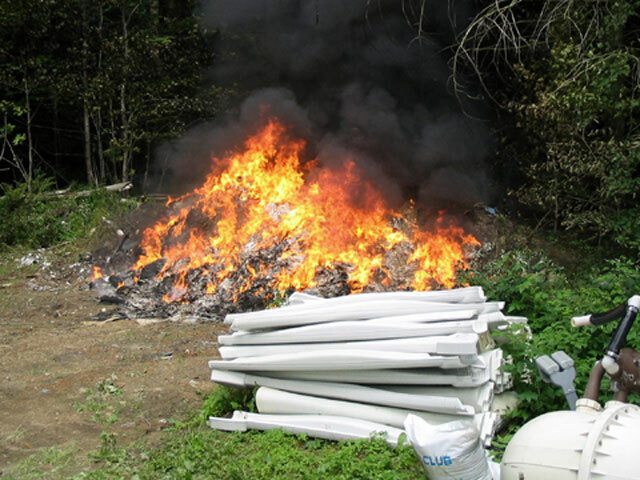 It is illegal in all NWSWD member towns (all Franklin and Grand Isle Towns except for Fairfax) to dispose of waste or trash through burning or leaving it anywhere other than an approved and permitted disposal facility. Dates and times: When did you first become aware of the dumping? Do you know when it first occurred? Identity of the person responsible: Do you know who the responsible party is? Did you witness the dumping or know someone who did? Type and amount of waste: Is the waste household trash, furniture, appliances, tires, electronics, construction debris, etc.? How much waste is at the site? Location: Please provide as much information as possible about the location. In addition to the street address, it is very helpful if you can tell us the distance from an intersection, the location of any nearby landmarks, and whether or not the site can be seen from the road. Burning trash can release numerous chemicals into the air, including dioxin, a known carcinogen, which is formed when plastic is burned. Burning treated wood and other trash sends both hazardous chemicals and ash into our air. These chemicals aren’t healthy for anyone, but are a particular threat to people with asthma and other respiratory illnesses. For these reasons, it is illegal to burn trash in Vermont. 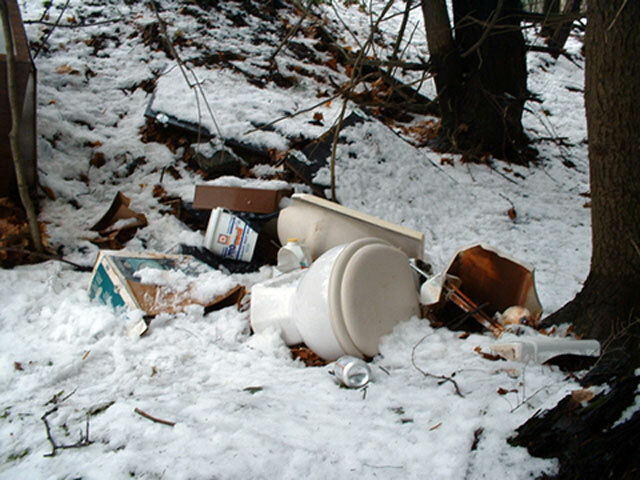 In addition, the District has an ordinance forbidding trash burning in District towns. If you spot an ongoing burn, please contact us immediately at (802) 524-5986. If possible, our enforcement officer will go directly to the scene. If we are not available and the burn is not well contained or is causing an unpleasant smell, headaches or other health problems, please contact your local fire department and ask them to put the fire out. Otherwise, simply gather as much information as you can, making note of the time and location, the responsible parties, and the type of material being burned. Then contact us with that information. For more information on illegal burning, visit Don’t Burn Vermont.